I don’t know what was worse; David Beckham’s cameo or the movie altogether. Thy verdict is in and its all apples and pears, san. 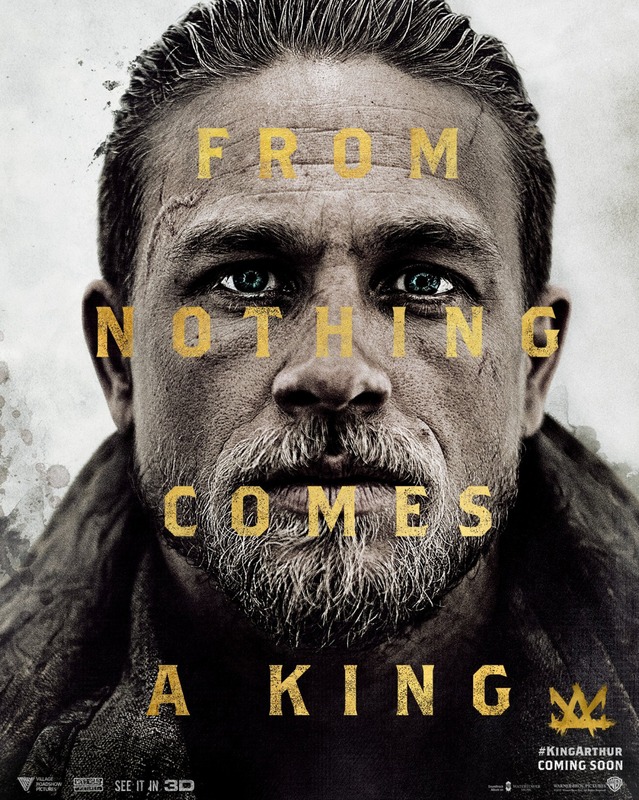 Robbed of his birthright, Arthur (Charlie Hunnam) comes up the hard way in the back alleys of the city. But once he pulls the sword from the stone, he is forced to acknowledge his true legacy – whether he likes it or not. The opening 20 minutes was better than I thought with Eric Bana (Troy) bossin’ it as Uther Pendragon. The murky Sherlock Holmes style backdrop may have put a dampener on things but there was action, sword fights and creatures with enough cheese to keep things entertaining. Ritchie regular Jude Law did his best as the slimy Vortigern. BUT he spent the majority of the film sulking, pouting and pulling faces. His dialogue was bland bar one exchange with a tortured prisoner that delivered an unexpected ear gag. What annoyed me the most was that Ritchie and co skimmed through the origin build up. Flash forwarding Arthur’s upbringing in a brothel with a quick montage of Sons of Anarchy’s Charlie Hunnam screaming and pounding on his well toned abs. I wouldn’t have minded the build up as we might have had better connections with Arthur’s band of cockney geezers. I might have actually cared about them. By the 30 minute marker, it felt like Ritchie had copped out and tried to work his Lock, Stock magic on the thing. An interrogation sequence with the King’s Guard tried to deliver that quick witted humour BUT it just didn’t work. “Which Mick? Flat Nose Mick, East End Mick or Chinese Mick?” Really? Taking the mick, more like. I preferred the darker Game of Thrones undertone. I know this wasn’t going to win plaudits for groundbreaking cinema. It was a blockbuster retelling the legend of Arthur BUT it was a bit of a hot mess. Hunnam just about pulled off the charm offensive as Arthur BUT he came off as such a cocky tool. I could understand his initial behaviour (at first) BUT he didn’t get any better and grew considerably more childish as the agonizing pace fumbled along. The tone was was all over the gaff. Silly and laughable one second and relentlessly dark and brooding, the next. Failing to work on any level. Now, don’t get me wrong. There were chunks that were highly watchable and there was fun to be had . . . in places. I loved the street chase sequence with the Rock ‘n’ Rolla style handicam perspective. Some of the exchanges delivered the odd quip and drew a smile. BUT not as much as Golden Balls’ squeaky Sarge. His voice and laughable dialogue did nothing for him. Eric Cantona may have been bitten by the acting bug. BUT not everyone can make that transition. Sorry, Becks. The female roles were terrible. I don’t know who Katie McGrath (Jurassic World) has upset in Hollywood BUT she always plays characters that never last. Annabelle Wallis (Peaky Blinkers) was weak. Anyone could have played her. If they needed her character altogether. Astrid Berges-Frisby (Pirates of the Caribbean: On Stranger Tides) was dreadful as The Mage. Her deadpan delivery and pasty faced complexion did nothing for the role. There was zero chemistry between her and Hunnam. The “friendly” banter was so awkward to watch that I was screaming for Merlin. It didn’t help that the story (for all its “re-working”) went through the motions. 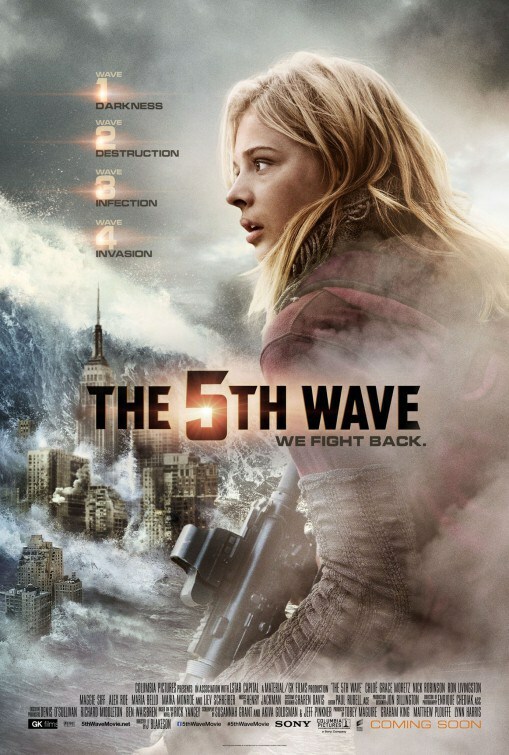 The majority of the supporting cast were highly unmemorable. NOT even Game of Thrones’ Little Finger (Aiden Gillen) could save the day. Utopia’s Neil Maskell was the only “knight” who made an impression. The film picked up by the 75th minute marker and delivered an entertaining 30 minutes BUT I could still feel my eyes wandering to my phone as we waited for the (rushed) finale. The mixed special effects delivered impressive visuals and disorienting mayhem. Especially when Arthur finally got to use Excalibur in all its horrifically CGI ‘d glory. Blasting knights left, right and centre in a horrendously dusky haze of carnage. Arthur and Vortigen’s fight was disappointing after all the build up and endless dreams/flashbacks revisiting Arthur’s past. Frustrating doesn’t come close. Ritchie kept skimming through the good bits and leaving us with the chaff. The Dark Island training montage had giant creatures; bats, snakes and god knows what else. Felt like an excerpt from a different movie. Why couldn’t we have more of that? Watchable guff BUT nothing to shout home about. I actually preferred the Clive Owen re-working instead. A return to form (of sorts) from the master of horror. In the aftermath of a family tragedy, an aspiring author (Mia Wasikowska) is torn between love for her childhood friend (Charlie Hunnam) and the temptation of a mysterious outsider (Tom Hiddleston). Trying to escape the ghosts of her past, she is swept away to a house that breathes, bleeds and remembers. As soon as the blood soaked Universal logo flooded the screen, escorted with the creepy children’s choir singing, I was transfixed. A wonderfully Gothic opening ticked all the boxes for me. Suspenseful, menacing and eerily beautiful as a young Edith (Wasikowska – Stoker) receives a spooky warning from her dead mother. The effects were fantastic. The first act was slow burning BUT watchable as we flash forward to a now twenty something Edith striving to make a career as a writer. Dan Laustsen’s cinematography was stunning to look at. It really captured the epic and lavish set designs. The Pride and Prejudice melodrama with Edith trying to avoid marriage was a little cliched and slackened the pace BUT it was entertaining enough. Charlie Hunnam’s Dr McMichael (Sons of Anarchy) was weak. I’m sure his bashful crime enthusiast was supposed to make the charismatic Sharpe look more appealing. BUT his character didn’t have to be such a drip. His Sherlock inspired ramblings didn’t get things going either. As soon as the illustrious Thomas Sharpe made his introduction, my interest was properly Peak-ed. Tom Hiddleston (Only Lovers Left Alive) played the mysterious count with aplomb. Charming his way straight into Edith’s heart. The whirlwind romance and shotgun wedding was a little rushed. BUT luckily there was always a bigger plan afoot. And once Sharpe’s strange sister (played by the ever talented Jessica Chastain – Mama) was brought into the mix, I was in for a suspenseful middle act. The whispering, the glances, Chastain’s cold demeanour. Once her muddled English accent was tuned, she was brilliant. She worked well with Hiddleston and the pair made a notorious duo. It was everything I expected from the moment Edith stepped foot in Alderdale Hall. A wonderfully Gothic setting. A dilapidated manor with a haunting presence complete with rotten mould, decay and dead bugs. It wasn’t long (Thankfully) before things went bump in the night. It was hypnotic viewing. The mystery behind the Sharpes and the house kept me intrigued. The long Shining-esque hallways, the cold dark passages, the scuttling crimson soaked skeletons. Creepy. Brilliant. BUT for all the mystery and suspense, I was left wanting. After all that build up and Del Toro toying with us, the big reveal was a little disappointing and predictable. Tragically, the final minutes were also a little laughable with Edith squealing and flailing around the ‘Crimson Peak’ estate. A shame considering the picturesque winter setting. The snow bludgeoned with crimson clay. Or was it? The supernatural element was the redeeming feature as the ghosts desperately try to relay messages to Edith. The unearthing of the puzzle was fun enough as we tried to suss out Sharpe’s intentions. A little twist about the Sharpes was certainly different BUT it only created more holes in the already wafer thin plot. It was never really explained properly. A shame after all that promise. This is a vast improvement from Del Toro and a return to form (of sorts) after the monstrosity that was Pacific Rim and the Fringe inspired vampire TV series The Strain. 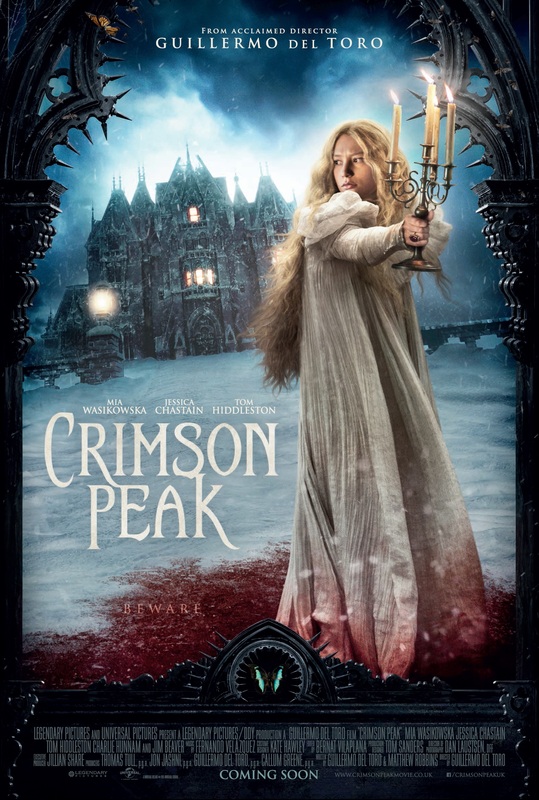 Crimson Peak was a wonderfully shot old fashioned Victorian horror story. The leading cast were superb, the cinematography was to die for. BUT the pace meandered along and the end result just didn’t quite deliver a satisfying enough climax after all that promise. Watchable though.